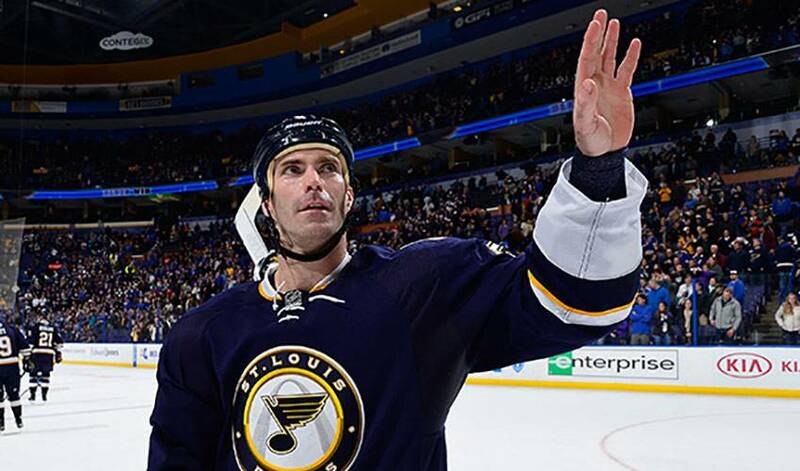 Toughness and tenacity are just two of the words associated with an NHL life that spanned 14 big-league campaigns in Barret Jackman's career, which came to an end on October 4. Out of all the numbers that defined his NHL career, it’s not the 876 regular season games or rookie of the year honour that gives the most accurate account of Barret Jackman’s selfless contributions. Toughness and tenacity are just two of the words associated with an NHL life that spanned 14 big-league campaigns, 13 with St. Louis and one with Nashville, a career that came to an end on October 4. Jackman, who retired on Tuesday, scored 29 goals, recorded 186 points, averaged 19:50 of ice time per game and registered a plus 54-rating. It’s the four digits found in the blocked shots category, specifically, 1,073, that are perhaps the most accurate barometer of a defenceman that was never shy about taking one for the team. But it wasn’t only about stepping in front of shots. Jackman was also willing to step up for his teammates even if he gave away height and weight advantage. 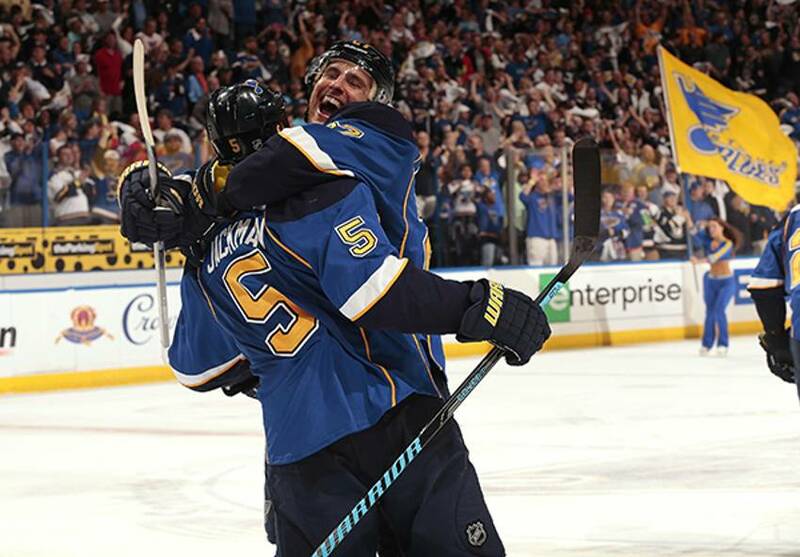 “One thing I learned from Jacks was how to be a pro,” St. Louis captain Alex Pietrangelo told NHLPA.com. “Night in night out, he brought it. Played as hard as he could every game. It's why he was so respected – he played as hard as he could every game. Kevin Shattenkirk is equally grateful for his time playing alongside Jackman. Veteran forward and Nashville captain Mike Fisher enjoyed his one season suiting up with Jackman after years of facing off against him. “Jacks played a very hard and honest game,” said Fisher. “He was a great player and teammate and one of those guys you always wanted on your team. I'm fortunate to have played with him and call him a friend." Jamal Mayers, who played 595 of his 915 career NHL games with the Blues, continues to have the utmost regard for Jackman. Jackman, who played four seasons with the Western Hockey League’s Regina Pats, began his NHL life in 2001-02, appearing in one game with the Blues, the team that drafted the British Columbia native 17th overall in 1999. That same season, he skated in 75 games with Worcester, the club’s American Hockey League affiliate, contributing 14 points while amassing 266 penalty minutes. Jackman appeared in all 82 games with the Blues in 2002-03. The highlight came at season’s end when he won the Calder Memorial Trophy as the league’s top rookie. Another high point came in 2007 when Jackman helped Team Canada win gold at the IIHF World Championship, besting Finland 4-2 in the championship game. Jackman had two assists in nine games. “I guess the one thing I’m most proud of when it comes to my career is that I was able to stay in one place for so long and not being shopped around,” continued Jackman. Hard-nosed. Honest. Hard-working. Those are just a few of the superlatives his former teammates note when they speak of No. 5. Those very players also speak glowingly of a first-class person, who will take some time to spend with his family before exploring a possible career in a hockey scouting or recruiting role.